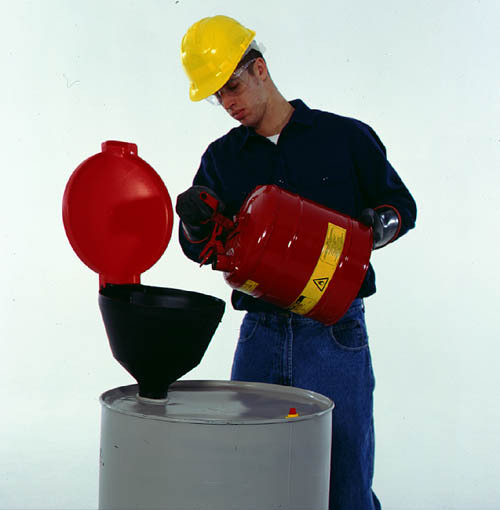 Our drum funnels selections are an industry standard and industrial grade. 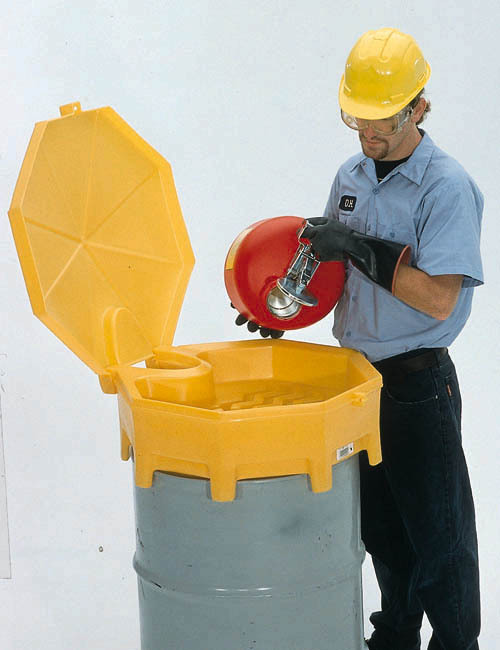 This selection of Polyethylene funnels is splashed safe and ergonomically designed to make sure that the liquid goes at with safety and speed. 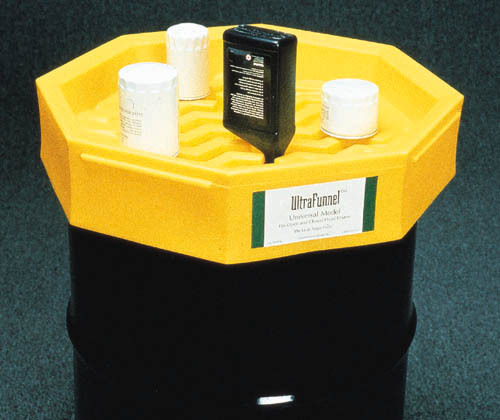 We offer both global and universal funnels which are also industry standard and tested to withstand any liquid. Our burp free funnels are cleared for a ¾” bung, which allows optimization with allows plenty of room for both funnels with and without spouts. 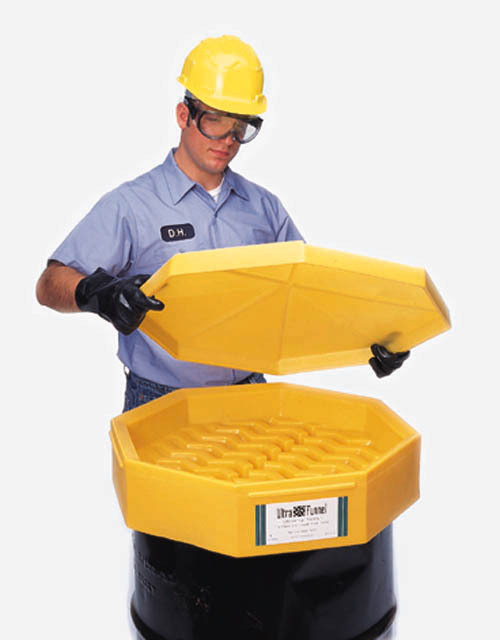 Our assortments of PopUp Fill gauges and the nature of our funnels allow for quick disposal of liquids as well as proving industry standard safety regulations to ensure that your workers are safe. Our funnels are sliced with laser precision to ensure that the maximum downward flow with minimal splash and burp occurrences. 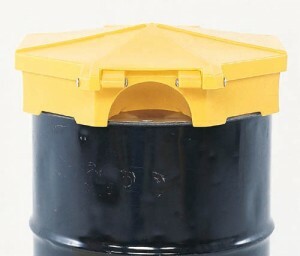 Our polyethylene material allows for the crystalline protection that only this brand of plastic can offer.